Mr. Fine is the Chief Executive Officer and Chairman of CTD Holdings Inc., a biotechnology company focused on developing novel therapeutics based on cyclodextrin technologies. Additionally, Mr. Fine is a member of the Board of Directors of Kenon Holdings Ltd., as well as Lead Director for Forward Industries, and Sole Director of Operational Technology Stichting. He also serves as Vice Chairman of the Board for Pacific Drilling. Mr. Fine has been involved in Investment Banking for over 35 years working on a multitude of debt and equity financings, buy and sell side M & A, strategic advisory work and corporate restructurings. Much of his time has been focused on transactions in the healthcare and consumer products area, including time with The Tempo Group of Jakarta, Indonesia when Mr. Fine and his family resided in Jakarta. Mr. Fine was the lead investment banker on the Initial Public Offering of Keurig Green Mountain Coffee Roasters and Central European Distribution Corporation, a multi-billion-dollar alcohol company. He was also involved in an Equity Strategic Alliance between Research Medical and the Tempo Group. Mr. Fine continued his involvement with CEDC serving as a director from 1996 until 2014, during which time he led the CEDC Board's successful efforts in 2013 to restructure the company through a pre-packaged Chapter 11 process whereby CEDC was acquired by the Russian Standard alcohol group. 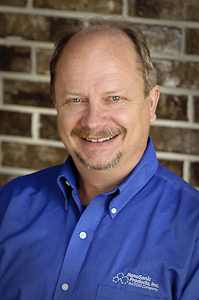 He also served as Sole Director of Better Place Inc. from 2013 until 2015. In his role, there Mr. Fine successfully managed the global wind down of the Company in a timely and efficient manner which was approved by both the Delaware and Israeli Courts. Mr. Fine devotes time to several non-profit organizations, including through his service on the Board of Trustees for the IWM American Air Museum in Britain. Mr. Fine has been a guest lecturer at Ohio State University's Moritz School of Law. 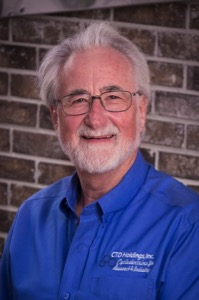 Dr. Tate is a seasoned executive with more than 30 years of experience in the biotechnology, pharmaceutical and nutritional supplements industries including: branded generic drugs, intellectual property strategy, product development, and cGMP manufacturing. He is intimately familiar with food and drug marketing approval procedures, documentation and strategy in U.S. and foreign markets, experienced in implementation of all aspects of regulatory compliance and in successfully communicating with regulatory agency representatives. Dr. Tate has successfully established integrated regulatory compliance programs resulting in timely, cost effective corporate-wide compliance, meeting regulatory agency requirements and customer expectations. He closely monitors developments in U.S. and international regulations to maintain compliance and identify regulatory and intellectual property strategies for new products and markets. He holds patents and trademarks in material processing and food formulation. 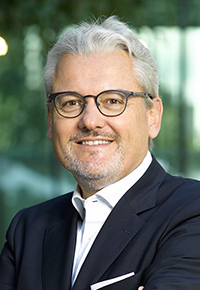 Mr. Sieger is the President and CEO of Polpharma Group, a large regional pharmaceutical company, focused on Poland, Russia and other CEE markets, active in the development, production and sales of generic drugs and biosimilars. He holds supervisory board seats in public and private European companies. Mr. Sieger was for almost two decades a managing partner of an advisory group helping entrepreneurs in emerging markets to develop, finance, build and operate new businesses both operationally and strategically. Mr. Sieger managed successfully complex and strategic transactions with a focus on the pharmaceutical, food, media and engineering industries. Mr. Strattan was with Pharmatec, Inc. where he became Director of Marketing and Business Development for CDs. He was responsible for CD sales and related business development efforts. From November, 1985 through May, 1987 he served as Chief Technical Officer for Boots-Celltech Diagnostics, Inc. He also served as Product Sales Manager for American Bio-Science Laboratories, a Division of American Hospital Supply Corporation. Mr. Strattan is a graduate of the University of Florida with a BS degree in chemistry and mathematics and has also received an MS degree in Pharmacology and an MBA degree in Marketing/Computer Information Sciences from the same institution. Mr. Strattan has written and published numerous journal and white paper articles and a book chapter on the subject of cyclodextrins. Mr. Ostronic is an officer of US Pharmacia International, Inc., a subsidiary of USP, and also serves as the Chief Financial Officer of The USP Group. Mr. Ostronic is also a director of Novit US, Inc., the general partner of Novit. Judge Farnan served as a United States District Judge for the District of Delaware from 1985 to 2010 and as Chief Judge from 1997 to 2001. During his tenure, Judge Farnan presided over hundreds of bench and jury trials involving patents and complex commercial disputes. 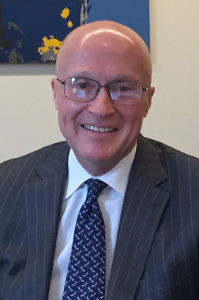 Prior to his appointment to the federal bench, Mr. Farnan was appointed to several positions in government, including United States Attorney for the District of Delaware from 1981 to 1985. His current law practice focuses on patent litigation and consulting, and complex commercial matters. Additionally, Judge Farnan serves as an arbitrator and mediator in complex disputes. For example, he was chosen by the parties to arbitrate a dispute between the Los Angeles Dodgers and Major League Baseball that resulted in the Dodgers being sold for more than $2 billion, the largest sum paid to date for a professional sports franchise in North America. William S. Shanahan is the retired President and Chief Operating Officer of Colgate-Palmolive. He retired in 2005. Mr. Shanahan has been associated with Colgate since 1965, when he joined the Company as a Sales Assistant for the International Sales Department. In 1972, after progressing through various positions in North and South America, he was promoted to General Manager of Colgate’s Brazilian subsidiary, a post he held until 1977, when he was named Vice President of Marketing Services for the U.S. Company. In 1979, Mr. Shanahan was appointed President and Chief Executive Officer of Helena Rubenstein, Inc. then a Colgate subsidiary. In 1980, he became Vice President and General Manager – Western Hemisphere for Colgate and then in 1981 he was promoted to Group Vice President responsible for Europe/Africa, as well as the U.S. Domestic Company and Colgate subsidiaries in Canada, South Africa, Australia, and New Zealand. He was also named to the Company’s Corporate Operating Committee. Mr. Shanahan was elected an Officer of the Corporation in 1983. In 1984 he was promoted to Senior Executive Vice President, Chief of Colgate Operations with responsibility for Colgate’s worldwide and domestic businesses. In 1989, he was named Chief Operating Officer and in 1992 became President of Colgate. Mr. Shanahan has served on the Boards of Directors of Molson, Mead, Inc. and Duracell (then owned by KKR), Diago PLC, MSD Performance Group, a privately held company, Life Technologies, Inc. and Visa, Inc. He serves as a Management Advisor to ValueAct Capital, a San Francisco-based hedge fund. Mr. Shanahan joined the Board of Directors of CTD Holdings, Inc. in June 2016. Mr. Shanahan received his BA from Dartmouth College and attended the University of California, International Christian University in Tokyo, and the University of the Philippines. Dr. Randall M Toig, M.D. is an associate professor at Northwestern University, Northwestern Memorial Hospital. He is also a well-known physician in the Midwest with a thriving private practice of more than 35 years in obstetrics, gynecology and gynecological oncology, Gold Coast Gynecology of Chicago. He also served at Northwestern Memorial Hospital in Chicago during this same time practicing, teaching and serving on active staff. Dr. Toig is consistently listed in the Top Doctors of Chicago and Guide to America's Top Doctors in his fields. In addition to his medical practice and teaching, Dr. Toig has served as a consultant to investment bankers evaluating pharmaceutical start-up opportunities. He was also a founder and Board member of Cell Pathways, Inc., a biopharmaceutical start-up that went public in 1997. Dr. Toig has been an active philanthropist playing an instrumental role as an early contributor to the Friends of Prentice, a foundation focused on the future of women's health, as well as to the Make-A-Wish Foundation. He was actively involved in the preservation and restoration of the historic landmark Chicago Theatre.